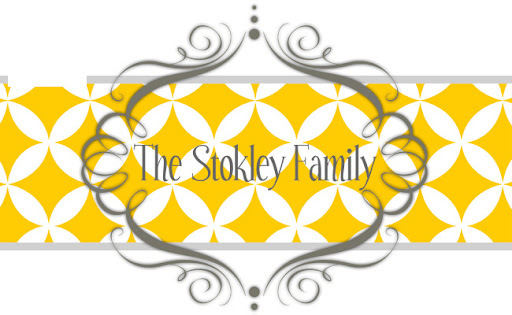 The Stokley Family: Happy Birthday Jesus! And its all about you. Happy Birthday Jesus, Jesus I love you! Nana had her Happy Birthday Christmas party the other night and let me say Ryleigh was so excited! She used to have these every year when we were little but had stopped them once we got older. She decided to have it again this year and to her surprise we all came! It was a lot of fun. I love hanging out with everyone. Whitney and I provided all of the entertainment, everyone especially enjoyed that! Here is Ryleigh and Gabe. He probably thinks our family is cray since he doesn't see us that often. This was hilarious!! There is this Santa thing on the floor that dances and Nana and Ryleigh were dancing. Aunt Velvet videotaped it and I'm telling you it was so cute! The cake...I don't know why we chose 4 candles?? Ryleigh listing to the Christmas story. Its amazing that I caught a picture of this considering the fact that she listened for like 10 seconds. I just had to put this in there for fun. We have a million pictures of us like this. We can use them when we hit the big time! Sony Records will probably be contacting us anytime!